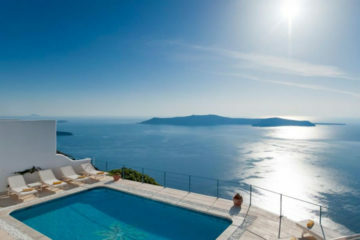 Bright elegant suites at the edge of the cliff, some with private outdoor Jacuzzi. 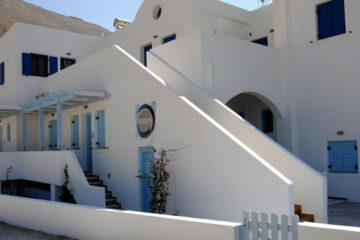 They are located in Oia and have a nice outdoor area with pool. 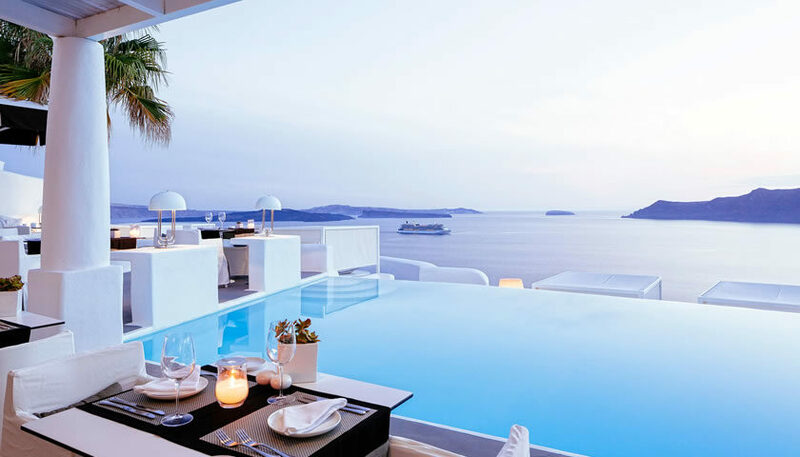 Specify the dates of your visit to Santorini to check availability and prices of Kirini Suites and Spa.